Toni Pons brings us 1003/10 TER. 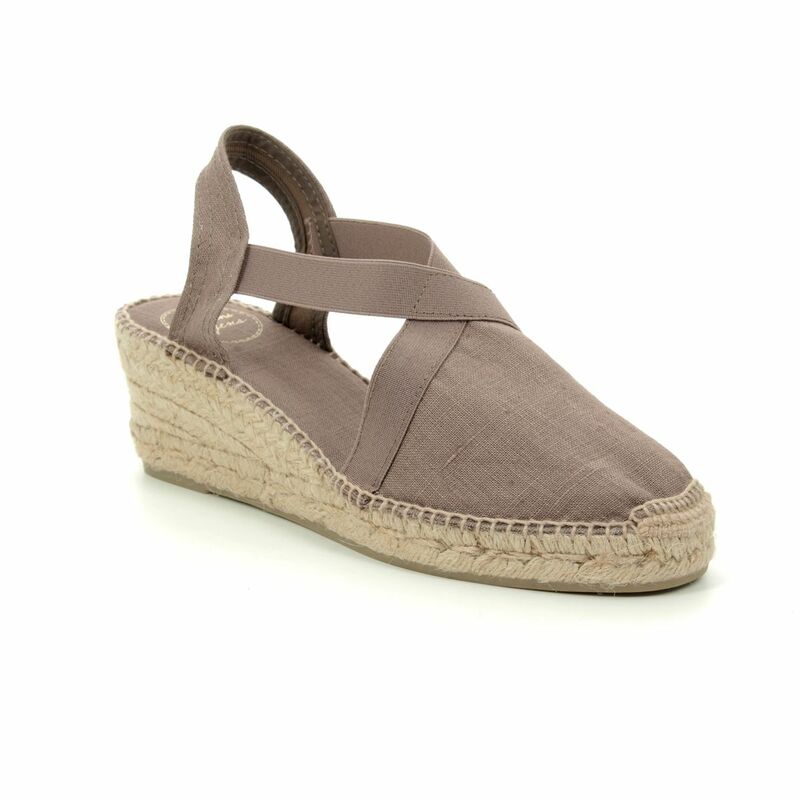 These classic neutral coloured taupe espadrilles are the perfect shoe for summer or going on holiday as they would go with any outfit. The upper is made from linen and the padded inner sole is lined with a soft textile. Braided jute covers the wedge heel and there is a natural rubber sole. The wedge heel is created from the front platform measuring 2cm and the heel height measuring 6cm. The upper is hand stitched to the sole with additional stitching to reinforce the toe for added strength. Elastic straps cross over the front of the foot for a secure fit while wearing this slip on espadrille. Buy your Toni Pons women's espadrilles from Begg Shoes, an official Toni Pons stockist.